Some people made such an impact on history that we see them in multiple sales each season, across widely disparate genres. One such figure was Mexican revolutionary Emiliano Zapata, who helped to lead a rebellion against the government in the first decades of the twentieth century. He is represented in two of our fall 2017 auctions: 19th & 20th Century Prints & Drawings and Printed & Manuscript Americana. Commanding the Liberation Army of the South from his home state in Morelos, Zapata sought land reform and supported the 1911 overthrow of President Porfirio Díaz. When Díaz’s successor Francisco Madero also proved uninterested in land reform, Zapata continued the struggle. The Zapatistas, a rebel group that still exists today, formed in support of Zapata’s ideals of bringing power to peasants. 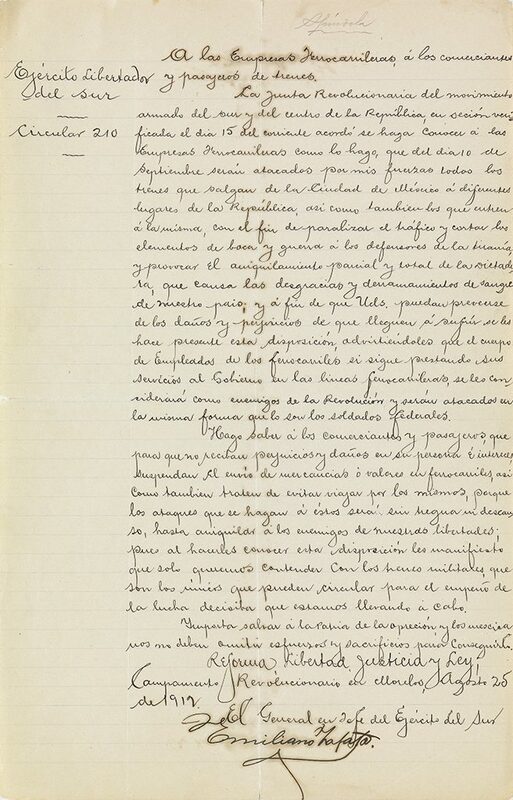 A highlight in our September 28 auction of Printed & Manuscript Americana is a letter from Zapata to the railroad offices of Mexico, in a file relating to the Madero government’s counter-insurgency efforts against the Zapatistas. Headed “Ejército Libertador del Sur, Circular 210” and dated Morelos, 25 August 1912, it notifies all railroad employees and passengers that any trains leaving Mexico City after 10 September will be attacked by Zapata’s revolutionary army. It closes ““Reforma, Libertad, Justicia y Ley” (Reform, Liberty, Justice and Law). Lot 315: Archive documenting Mexican counterinsurgency efforts against the Zapatistas, with an Autograph Letter Signed by Emiliano Zapata, 1912. At auction September 28, 2017. This is the earliest signature by the revolutionary to come to market since 1986. The remainder of the file consists of reports from field agents to the chief inspectors of the Mexican Police, Major Emiliano López Figueroa and Anastasio Bravo. They discuss attempts to infiltrate Zapatista bases in Morelos; investigations of Zapatista collaborators in Mexico City; and inspections of federal trains in search of smuggled ammunition and weapons. 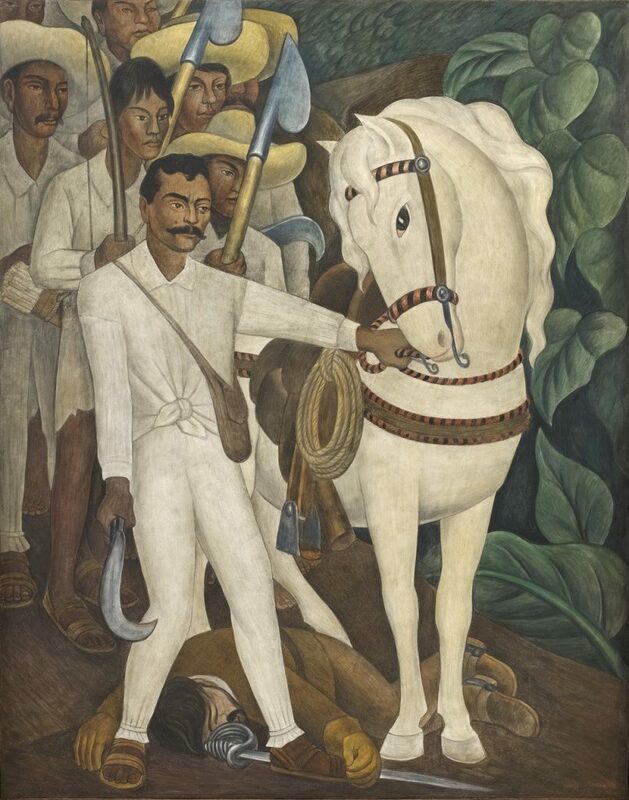 The Zapatista movement influenced the life and work of Mexican muralist Diego Rivera. 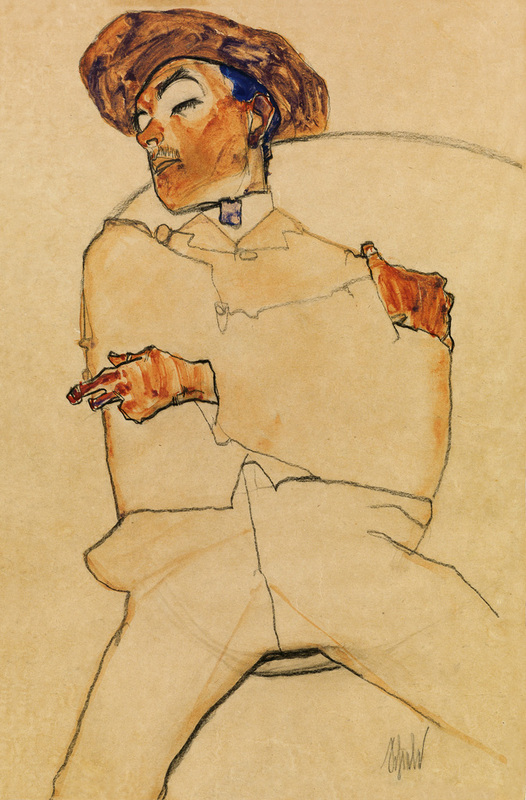 Though the two never met–Zapata was assassinated in 1919–he appeared several times in Rivera’s work over the years. 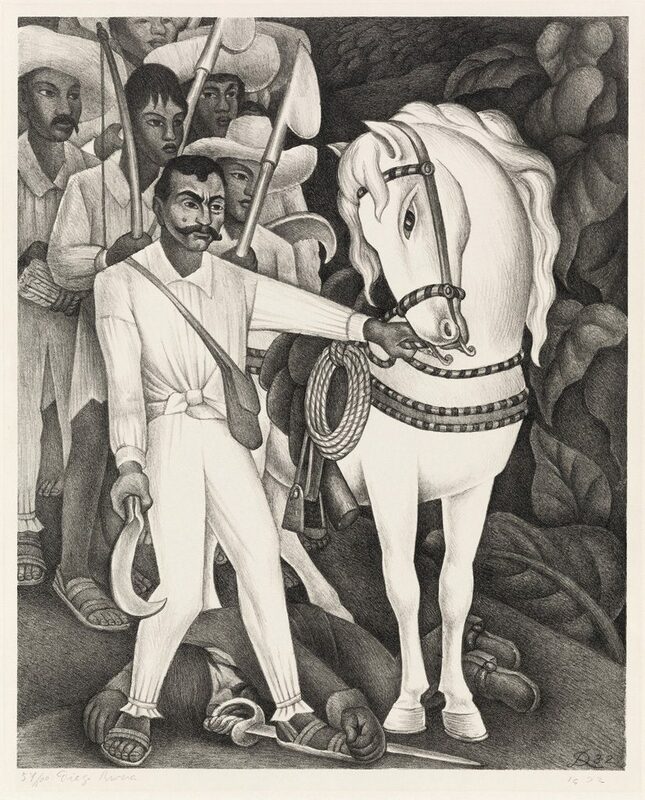 Lot 280: Diego Rivera, Zapata, lithograph, 1932. At auction September 19, 2017. Estimate $15,000 to $20,000. On his return from art school in Europe, Rivera was offered a one-man show the Museum of Modern Art in New York. For six weeks, he worked on a series of five “portable murals” that illustrated the Mexican Revolution. The lithograph offered in our 19th & 20th Century Prints & Drawings auction on September 19 is based on one of these murals. Rivera created only fourteen prints in his entire career. Diego Rivera, Agrarian Leader Zapata, fresco on galvanized steel framework, 1931. Courtesy of MoMA.